Removed: Obsolete Code ~1,5 MiB emule.exe = 4.29 MB (4,498,944 bytes) not upx compressed! Add: Many Skins added fur user choice selection. 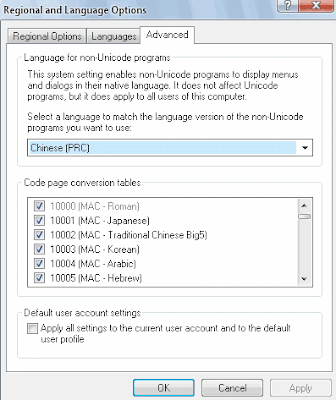 save the file with +r (read only attribute) - Chinese Moder forgot or ripped English include all Multilanguage support in this emule mod, its back added but "no have source"! Please initial use to extract the compressed files in the folder to a blank, and enter the option running eMule.exe dialog can be set. Major set the following parameters: user name, TCP / UDP port, the upload speed limits (recommendation For half of the peak upload speed), the rigid restrictions and the largest number of connections, download and save the file directory of temporary directory, the largest number of new connections / every five seconds, the largest number of semi-open connection. 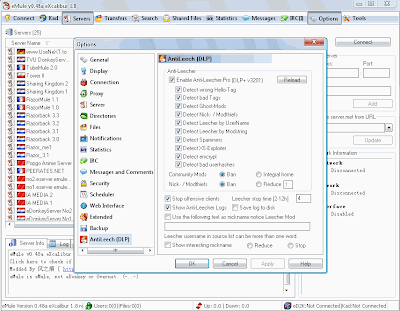 Non-first use of the proposed extract the folder to a blank in accordance with their own additions and deletions need to document and configuration options. From the original eMule procedures of the config directory folder copy clients.met, cryptkey.dat, known2_64.met, known.met, preferences.dat, preferencesKad.dat, statistics.ini, Category.ini and other documents to the config eXcalibur Directory to retain the original credit / integration, document sharing, statistical data and information category. If you are upgrading from eXcalibur v1.4 version from the initial run first perform a server to add all the static list server operators. MediaInfo.dll, UnRAR.dll and ip-to-country.csv both have been upgraded to the latest version. Containing the ipfilter has been added in the dissemination of bad block / AIDS, scanning share files, send spam servers and false news filtering rules, strongly recommends the use of. Note: Due to the use of a new test code, this version must be with DLP + v3116 (cabinet has been provided) above the use of, or procedures will go wrong! Cabinet of all the documents have been provided by Kaspersky antivirus software 6.0 for the latest virus scanning, if killing was soft drugs, was wrong. eXcalibur VeryCD Mod is based on a modified version, in other words the Mod Mod. intention is the development of a smaller paper size, retain VeryCD Mod in the network within the Internet function at the same time, other Mod absorb the advantages and characteristics of all May enhance the stability and provide a more practical function. [-] Multi-language selection, retaining only English (WTF! no English there) interface; REPLACED with CHINESE does not contain one English word in the Interface + Blow up the emule.exe size of 75 - 138 kb by ripping the Multilanguage support! [+] Since the definition of Leecher Mod clients to stop time (2-12 hours). Other minor code improvements and improvements ..
emule v0 49a v1.4.8.1 cracked Virus Alert!! !